Taco Bell's Nacho Fries were the hot new fast food item of 2018, so it's only fitting that the chain kick off 2019 with a brief return of the fan favorites. Starting January 24, Nacho Fries will be back on the menu nationwide. This is only going to be for a limited time run, so those of you looking to get those custom fry-filled creations should head to Taco Bell sooner rather than later once the fries return. 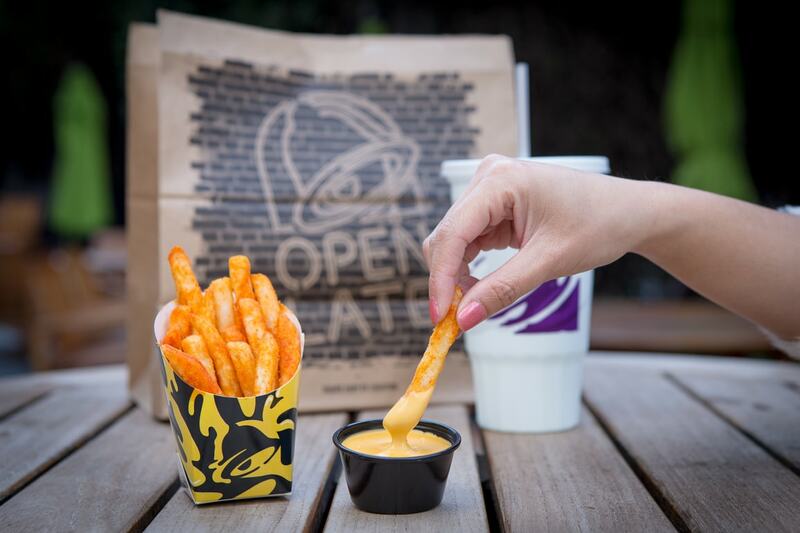 Taco Bell representatives have confirmed that all forms of the Nacho Fries will be back on the menu. This includes the regular side of fries with nacho cheese sauce, as well as the two different sizes of loaded fries (Supreme and Bell Grande) that come topped with same beef, nacho cheese, tomatoes, and sour cream. This giveaway will only happen while supplies last, but if there's fries leftover after Day 1, the whole thing could start over again on the 19th. If you're not near any of these areas, you'll still be able to buy the fries when the nationwide drop happens on the 24.